Consider this thought experiment: I give you two books. One of them looks like it was produced by selecting photographs on your hard drive and publishing a hardcover book through Apple. If you had created it, you would have spent about ten minutes putting it together in iPhoto. In the other book, it looks like the photographs have been hand-printed on archival paper via a giclee printer and mounted into a hand-stitched hardback book, with a few alignment errors and flaws. Which book would you rather have? Why? Now, imagine that there are 5 copies of the Apple-produced book, and 200,000 copies of the one that appears to be hand-printed. Which one would you rather have? Why? I wonder what new platforms will emerge to exploit perception of handicraft, and what new technologies will enable them. One of my favorite pictures we own is from 20x200. (The above image by Todd McClellan.) Their platform does an excellent job of balancing limited editions with affordable access to art, though by “limited” we are talking about a few thousand prints. But if an artist wants to reach the largest possible audience with their work, they will pursue multiple routes with the same work. Hence, the photographer also sells a hardcover book with the same photographs for $20.23. I like this print better on my wall than in a book on my coffee table. But I wonder what stories I would tell myself if the photographer had printed it for me by hand. I’m co-founder of Ask The Sherwins, LLC with Mary Paynter Sherwin. We help organizations better integrate design into how they make products, and develop custom training programs and tools for cross-disciplinary teams. I am also a Fellow at frog, a global product strategy and design firm. Drop me a line if you'd like to chat at david (at) changeorderblog (daht) com. This blog represents my personal thinking and may reference work that I’ve done with frog, Lynda.com, and LinkedIn. 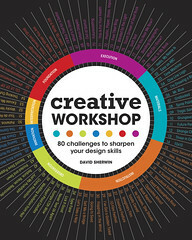 Buy my book Creative Workshop at Amazon. Read the first 24 pages and Teacher's Guide free. 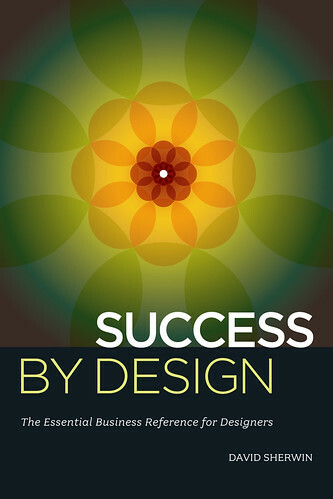 Get my new book, Success by Design: The Essential Business Reference for Designers at Amazon.